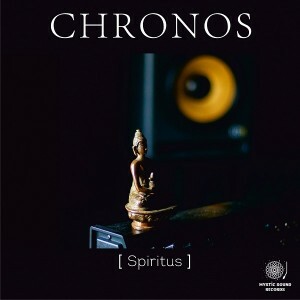 Mystic Sound Records is happy to present Spiritus, the first part of a new trilogy from Chronos (Nick Klimenko). This album features ten excellent tracks which have appeared on various compilations over the years. Soft rhythms, ambient atmospheres, and delicate melodies are what we like so much about the music of Chronos and all can be heard on this album. Live instruments infuses the music with a distinct power and you’ll hear them in almost every track including Big Vargan, in which the artist plays the vargan himself. You may know each track well but quality remastering by Manifold Studio has allowed all tracks on Spiritus to gain something new. Cover art for the album is designed by Elena Ukolova. MP3 Download | FLAC Download | WAV Download · Download count: 11,830. Да здравствуют передовики социалистического производства! 3 раза ОМ! tks for the music, I start my day at work hapiness because I found a mail from ektoplazm, that send me to this atmospheres of so high performance & talent work. ¡Salú! Я хотел добавить, что это очень новаторский альбом. Просто потрясён. Поздравляю!! I’m not sure if I’m allowed to use this music for underlaying a slideshow of pictures of mine to publish it on Facebook. Can anybody help me? I am looking for something like this a long time & now I have found it! Dietmar, you should check out the license which determines the rules of this music’s use. If the use is not commercial and you have not modified the material, you are free to use it, provided that you attribute the authorship to the artists. See the link above for more details. WOW definitely one of the best psybient/deep trance releases this year… absolutely top-notch production, beautiful epic sounds!! просто охуенчиком! По ходу для меня родился новый культ…Так выжигать мозг , создавая новые ” горизонты событий” и ” кротовые норы ” в подсознании, мне помогал в последнее время только KOAN , VENA PORTAE , CHILLUM , ZYMOSIS , и ASTRONAUT APE. Счастья вам ребята и финансовых успехов. Thank you so much for this gift! This really great. Already have all these tracks so didn’t really listen to this VA until now. The flow of this album was arranged well. For me the real gem on this album is mystery of time, that tune just speaks to me. Thank you Chronos! Very nice remastering of some great tracks. Thank! Excellent! Such a great variety of sounds. Very original, very pleasant! Yeah, this is so Chronos. Wonderful work on these tracks! Just stumbled on this by chance, downloaded and enjoying it. I feel echoes of my preferred artists, Shpongle, Entheogenic, Bluetech just to mention some. Chronos manages nonetheless to be unique while being inspired by music masters. What a beautiful discovery! I look forward to exploring the whole trilogy. Such music gives me a valid reason to believe in mankind in the face of the ugliness that’s around us.